Hair loss in men and women may occur due to various reasons. However, most often hair loss in males is due to hereditary androgenetic alopecia or “male pattern baldness.” The hormone dihydrotestosterone (DHT) should be present in the genetically susceptible men for the aforementioned hair loss. In the same way, most women experience hair loss due to hereditary female pattern hair loss. Some other uncommon hair loss causes are easily reversible with treatments; these include hair loss due iron deficiency, thyroid problem, high fever, general anesthesia, surgery, childbirth, crash diets and certain medications. Some dermatologic scalp disorders also lead to temporary or permanent hair loss. 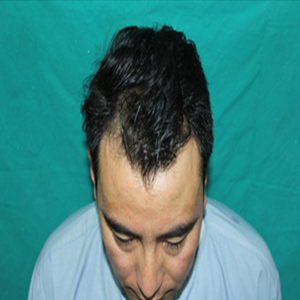 This type of hair loss may be due to lichen, lupus, alopecia areata and planopilaris. Hair loss is never due to poor circulation of blood, clogged follicles, overdoing of to wearing helmets or hats, mites in hair. How to Tackle Male Pattern Hair Loss? 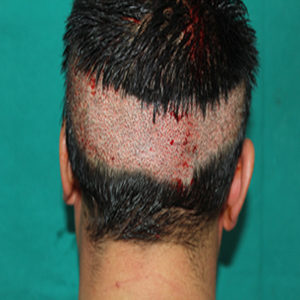 Opt for hair restoration procedure for permanent solution of recovering lost scalp hair. Medical treatments are also available such as finasteride pill and topical application of minoxidil liquid. However, these require lifelong administration of the treatment to maintain effect. PRP-platelat rich plasma technique- the technique injects various growth factors in the affected area and promote hair growth as well as hair quality. Cosmetic enhancers including sprays, powders, coloured creams etc. which when applied onto the affected area camouflage the thinning hair but these products do not actually offer relief from the hair loss problem . Hairpieces: this is a non-surgical method to restore lost hair and includes covering of the bald areas of the scalp. These could be attached using various means including weave attachment, clips and glue adhesives.